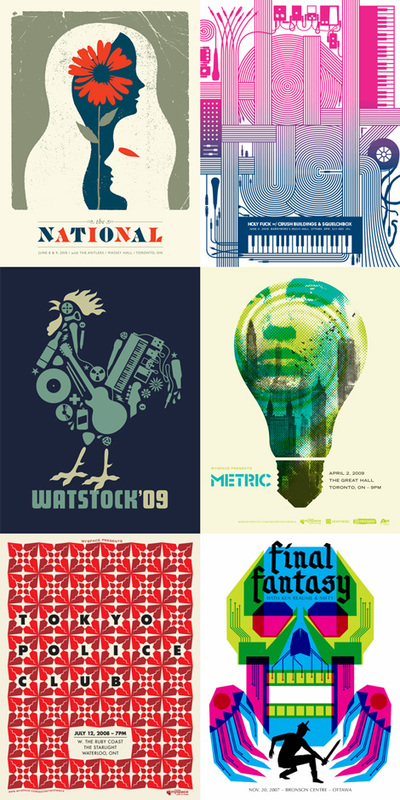 I’ve been meaning to start a column on Indie Music Filter to feature the art of gig poster designers. Still trying to get a good name for it, but for now, we’ll go with Press For Prints. My inaugural post will be on Toronto’s Doublenaut. 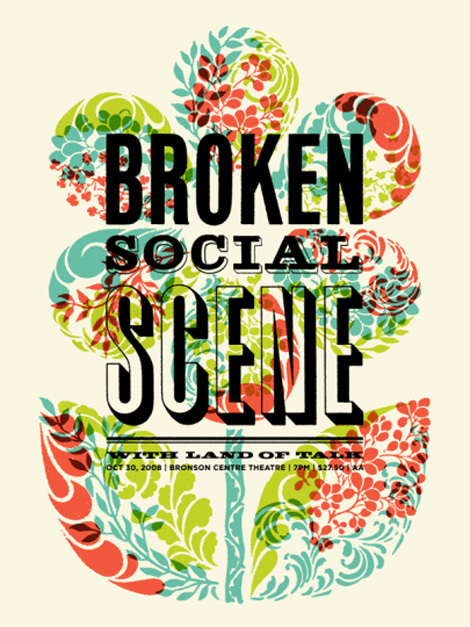 I think the first Doublenaut poster I saw was their 2006 design for The Broken Social Scene summer island concert in Toronto. Since then, its hard not to see their work in and around Toronto music institutions. There’s always an uncomplicated look to their work and striking good uses of colour. Take a minute to check out their store, I included a couple of my favorite designs below.